DO TRAVEL DESIRES AFFECT FERTILITY? More recently, a new set of multifarious factors emerging from a modern, post-industrialized, technological society have led to what some demographers refer to as the second demographic transition (SDT). The second demographic transition was coined by demographers Ron Lesthaeghe and DJ van de Kaa, is characterized by “sustained sub-replacement fertility,” and generally follows the well-known (first) demographic transition.12,13 In their discussion of the second demographic transition, Lesthaeghe and Niedert state that long-term sub-fertility stems from “better-educated men and women who hold an egalitarian world view, place greater influence on Maslow’s (1954) ‘higher order of needs’ (i.e., individualistic and expressive orientations and self-actualization), and [have] stronger ‘post-materialist’ political orientations.”14 They add that prolonged education, “increased consumerism associated with self-expressive orientations, finding a suitable companion and realizing a more fulfilled partnership, and keeping an open future” all stand as elements of the SDT.15 Collectively, the SDT suggests that a shift towards individualism presumably has great influence on woman’s desired fertility. One can tie the second demographic transition and Dumont’s theory of social capillarity with the theories of demographers Ansley Coale and Gary Becker. As a result of the Princeton European Population Fertility Project, Coale concluded that (1) people had accepted calculated choice as a valid element, and (2) people perceived advantages from lowered fertility when discussing low fertility.20 Coale’s claims are important because they suggest that fertility is a conscious and calculated decision. Moreover, Nobel Prize laureate Gary Becker provides in his article An Economic Analysis of Fertility a contentious yet logical claim that children in modern societies are viewed as “consumption 1goods.”21 Becker argues that couples opt to have children not for economic advantages, e.g., extra labor or income, but rather that children serve to satisfy “consumerist” needs of the parents. Advancements in aviation technologies coupled with higher salaries have transformed travelling from an exclusive luxury primarily for the rich to a pleasure now enjoyed by many. Escaping quotidian life through travelling and following man’s natural “peripatetic instinct” is more attractive and attainable than ever before. Constant reminders from pop-up internet windows, television advertisements, and magazine articles deepen these desires to travel by reiterating how vast this world really is and the ease with which one can now discover it. These factors have created a culture of wanderlust—a term meaning “strong desires to travel.”22 As a result, “seeing the world,” while cliché, no longer sits idle on the average Westerner’s “bucket list;” it is a reality. The aim of this study is to extend the understanding of fertility (and specifically, low fertility) concerning female aspirations and personal experiences. The study draws upon quantitative data to probe if strong desires to travel (wanderlust) could influence an individual’s desired family size. Dumont, Coale, Becker, and Lesthaeghe and Van de Kaa’s theories on low fertility, individualism, materialism, and social mobility provide the basis for which my research questions were formulated: Does wanderlust affect desired fertility? Does the recognition of the financial onus and parental responsibility affect a “wanderslustic woman’s” view of motherhood? Lastly, if an individual’s “wanderlust” really does correlate with lower desired fertility, how would the proposed relationship relate to the theories on low fertility posited by Lesthaege and van de Kaa, Dumont, Coale and Becker? The key question which formed the survey’s two sampling groups was based on a yes/no answer to the question: “Have you studied and/or lived abroad (outside of the United States) for longer than four weeks?” This study collectively refers to females who have studied abroad (respondents to “yes”) as Group A while those who have not studied abroad (those who answered “no”) as Group N. The answer to this question served as the key variable due to the hypothesis that those females already exposed to living and traveling abroad understand its perceived thrill. Because this hypothesis may not always hold true, the survey contained various questions to identify females who have not had the chance to go abroad but still have wanderlust as well as to identify those who have been abroad but still prefer less itinerant or “domicile” lifestyle. Examples of such questions will be given below. Only females were surveyed, as females are generally viewed as the ultimate decision makers for fertility. The participants of the study were reached using cluster sampling. After receiving approval from the Institutional Review Board (IRB), the surveys were sent to two geography courses with a combined total of 460 female participants. The courses are taken by many as elective credits and thus attract a diverse range of students who represent nearly every department at Virginia Tech. It initially seemed unlikely that a sizeable number of females in the two courses had studied or lived abroad; therefore, in order to seek participants that would form Group A, an additional 80 surveys were sent out directly to students who were or had been abroad. The contact information of such participants was available publicly through (1) the Virginia Tech study abroad website and/or (2) Facebook which has specific groups exclusively for Virginia Tech students who are abroad. After the survey period of two weeks, 100 participants formed Group A (GA) while Group N (GN) had 157 participants; the response rate for the study was 46.6% (257 completed surveys, 540 females contacted). The survey incorporated both qualitative and quantitative questions making for a total of 12 questions, making it possible to discuss a large number of relationships between questions from various angles. Due to length considerations, the discussion will focus on the relationship of five questions. Two of the five questions form the pith for drawing conclusions and a central argument while the other three are especially helpful in bolstering the conclusion derived from the former two. The remaining seven questions and their unstratified results can be found in Appendix 1. The first supporting question, “Is it important for you to have kids?,” had the purpose of measuring how important motherhood was to the participants. With the results of the Chi-Squared Test above, it can be concluded that on average, females who have spent time abroad are less likely to find motherhood to be “important” than females who have not been abroad. (X2 = 3.981, P = .046). A possible explanation for this gap in the importance of motherhood between Group A and Group N is that female participants who go abroad may have a different outlook on life or different way of thinking. Leaving one’s native country means breaking out of one’s comfort zone and immersing oneself in new cultures, customs, and norms. Perhaps those willing to take on this challenge lead more confident or individualistic lives than their “homebody” counterparts. If this is the case, these women may see motherhood as an impediment to leading their “wanderlustic” lifestyles. The question regarding the importance of “seeing the world” sheds light on the participants’ priorities in life. Specifically, it is plausible to hypothesize that respondents who chose A, “very important in my life,” have consciously decided that they would like to pursue international travel while those who responded to choice B, “nice, but not what life is about,” appear to have less of an impulse to travel. As illustrated in Table 7, the desired fertility of respondents of choice B (“nice, but not what life is all about”) is noticeably higher than the desired fertility of those who chose option A (“very important in my life”). By performing a simple t-test, we can see that the two means are statistically different (F = .229, P = .036) and thus may conclude that women who find traveling “very important” (what some may consider “women with wanderlust”) desire on average fewer children than those who show less of a fervor to explore the world. A detail worth mentioning is that out of all 257 responses, no participant viewed “seeing the world” as unimportant (choice C). Given that all of the female participants in the study are constantly exposed to the idea of international travel through media advertisements, university courses, television programs, among other things, it is probable that they all feel comfortable with the idea that international travel is at least “nice,” if not very important. I also argue that it is part of the human psyche to either live naturally itinerant or at least be curious as to what else exists in the world; after all, the fact that human beings are one of the few species that have migrated to every corner of the world cannot solely be attributed to survival. To Work, Mother or Travel? Perhaps the most edifying relationship found in the data comes from the question, “I think that it is MOST important in life to….” What specifically stands out is that the desired fertility of those who chose choice B (“get married, have a family and focus on being a good mother”) was radically higher than those who chose choices A (“be successful in my job…”) and C (“travel the world...”). Comparing the desired fertility mean between the participants who answered “A,” “B,” or “C” evinces that long term priorities correlate with differing desired fertility. What is worthy to examine is not why family oriented females prefer more children, but rather why the career and travel oriented females prefer significantly fewer children. A probable explanation is that the career and travel oriented participants (regardless of experience abroad) appear to follow “individualistic aspirations.” While the majority of these women indeed would like children, on average they desire fewer. The idea of individualistic aspirations (which will be discussed in more depth in the following section), is a recurring theme tied to declining fertility. Given the empirical data regarding the participants’ primary orientation, we are able to observe that most career and travel oriented women probably view larger families as an impediment to living out their individualistic career or travel aspirations. Table 11 shows the stratified results of “life priority” by group while Table 12 contains the results of a two-way ANOVA test between life priority and study abroad experience with the dependent variable as desired fertility. Following these tables is an interaction plot of the main effects, where the Y-axis shows desired fertility and the X-axis shows life priority. This plot is especially useful in observing that desired fertility among participants in Group A is lower on all levels than Group N. In other words, females from Group A who are “career oriented” tend to desire fewer children than the “career oriented” participants in Group N. Likewise, “travel oriented” and “family oriented” participants in Group A, on average desire fewer children than “family or travel oriented” participants in Group N.
Admittedly, this question may be considered contentious, as some females may have found it difficult to choose only one of the three responses. After all, most females would probably like to have a financially comfortable life, be a good mother, and travel the world. Therefore, while the question indeed provides empirical evidence for desired fertility differences between different female priority orientations, it does not necessarily imply that females who want to travel are not interested in having children, or that good mothers cannot work and live financially comfortable lives. Why Such High Desired Fertility? One must also understand that direct causality cannot be confirmed by this survey; the participants did not have a chance on the survey to explicitly state why they chose their desired fertility amount. Despite the convincing statistics, other unmeasured causal factors may also come into play. On one hand, the idea of studying or living abroad may be an attractive option for females who already have a strong sense of wanderlust or an individualistic or venturous mentality. On the other hand, being exposed to life abroad may cause females to gain a new appreciation towards international travel and inspire them to continue traveling. Also, participants with experience abroad, for example, are more likely to come from families with higher socio-economic backgrounds while those from low(er) socio-economic echelons may be financially unable to afford spending time abroad. Given the nature of the survey and its results, the study suggests that (1) there exists a relationship between an experience living abroad and desired fertility, where a presence of the former correlates to a decrease in the latter; (2) women who consider seeing the world “very important” prefer to have fewer children than women who find traveling “nice, but not what life about”; (3) on average, women who have not lived abroad find it more important to have children than those who have lived abroad; and (4) regardless of experience abroad, females to whom it is most important in life to start a family prefer to have significantly more children than females who would rather traveling or pursue a career oriented, financially comfortable life. Additionally, the results suggest that college experiences, such as studying abroad, may influence later life decisions such as fertility intentions. WHAT DOES THIS MEAN IN CONTEXT WITH THE SECOND DEMOGRAPHIC TRANSITION? How can causal claims be made to desired fertility? What are examples of other lifestyle preferences or priorities that influence desired fertility? Which measures on the macro (governmental and/or societal) or micro (individual) level could be taken to help females balance their desired fertility and individualistic aspirations? In an ever-growing consumerist world, is it likely that fertility rates remain under the replacement rate? By working to answer these questions, among many others, societies with high fertility rates may have answers that lead to apposite policy solutions to cope with low fertility. 1 A TFR of 2.1 is the “replacement rate” in low mortality countries. 2 Bongaarts, John. “Fertility Decline in the Developed World: Where Will It End?” American Economic Review 89.2 (1999): 256-60. Print. 3 Morgan, S. Philip, and Miles G. Taylor. “Low Fertility at the Turn of the Twenty-First Century.” Annual Review of Sociology 32.1 (2006): 375-99. Print. 4 Fertility in some East Asian cities and city-states are the lowest in the world, at .6 in Shanghai, 1.04 in Hong Kong, and 1.22 in Singapore. 6 “Fertility Statistics.” Eurostat. European Commission, Oct. 2011. Web. 05 Jan. 2011. <http://epp.eurostat.ec.europa.eu/statistics_explained/index.php/Fertility_statistics>. 7 Gavrilov, Leonid, and Patrick Heuveline. “Population Aging.” Longevity Science: Unraveling the Secrets of Human Longevity & Aging. Manuscript from The Encyclopedia of Population, 2003. Web. 08 Jan. 2012. <http://longevity-science.org/Population_Aging.htm>. 8 Harris, Fred R. The Baby Bust: Who Will Do the Work? Who Will Pay the Taxes? Lanham: Rowman & Littlefield, 2006. Print. 9 Jones, Gavin W., Paulin Tay. Straughan, and Angelique Wei Ming. Chan. Ultra-low Fertility in Pacific Asia: Trends, Causes and Policy Issues. London: Routledge, 2009. Print. 10 Mcdonald, Peter. “Low Fertility and the State: The Efficacy of Policy.” Population and Development Review 32.3 (2006): 485-510. Print. 11 Bulatao, Rodolfo A., and John B. Casterline. Global Fertility Transition. New York: Population Council, 2001. Print. 12 Lesthaeghe, Ron. The Unfolding Story of the Second Demographic Transition. Rep. Ann Arbor: Population Studies Center University of Michigan, 2010. Web. 13 R. Lesthaeghe, D. van de Kaa: “Twee demografische transities?” (Two demographic transitions?) in Lesthaeghe & van de Kaa (eds): Bevolking - Groei en Krimp, Mens en Maatschappij, Van Loghum Slaterus, Deventer, 1986 : 9-24. 14 Lesthaeghe, Ron J., and Lisa Neidert. “The Second Demographic Transition in the United States: Exception or Textbook Example?” Population and Development Review Volume 32.Issue 4 (2006): p. 669. Print. 16 Weeks, John Robert. “Chapter 3 Demographic Perspectives.” Population: an Introduction to Concepts and Issues. Belmont, CA: Thomson/Wadsworth, 2008. 86-88. Print. 18 Bejin, A. (1989). Arsene Dumont and social capillarity. Population 44(6): 1009-1028. 19 See Weeks, Population: an Introduction to Concepts and Issues in footnote 3. 23 For this study, desired fertility (DF) refers to the number of children that each female would like to have. 25 Day, Jennifer. “National Population Projections.” Population Profile of the United States. US Census Bureau. Web. <http://www.census.gov/population/www/pop-profile/natproj.html>. 26 Bongaarts, John. Measurement of Wanted Fertility. New York, NY: Population Council, 1990. Print. “World Development Indicators: Fertility Rate.” Chart. World Bank Data, Google Charts. Web. 20 Mar. 2011. <http://www.google.com/publicdata/explore?ds=d5bncppjof8f9_&ctype=l&met_y=sp_ado_tfrt&hl=en_US&dl=en_US>. Bejin, A. (1989). Arsene Dumont and social capillarity. Population 44(6): 1009-1028. Bongaarts, John. Measurement of Wanted Fertility. New York, NY: Population Council, 1990. Print. Bongaarts, John. “Fertility Decline in the Developed World: Where Will It End?” American Economic Review 89.2 (1999): 256-60. Print. Day, Jennifer. “National Population Projections.” Population Profile of the United States. US Census Bureau. Web. <http://www.census.gov/population/www/pop-profile/natproj.html>. “Fertility Statistics.” Eurostat. European Commission, Oct. 2011. Web. 05 Jan. 2011. <http://epp.eurostat.ec.europa.eu/statistics_explained/index.php/Fertility_statistics>. Gavrilov, Leonid, and Patrick Heuveline. “Population Aging.” Longevity Science: Unraveling the Secrets of Human Longevity& Aging. Manuscript from The Encyclopedia of Population, 2003. Web. 08 Jan. 2012. <http://longevity-science.org/Population_Aging.htm>. Harris, Fred R. The Baby Bust: Who Will Do the Work? Who Will Pay the Taxes? Lanham: Rowman & Littlefield, 2006. Print. Hesketh, T. “The Effect of China’s One-Child Family Policy after 25 Years.” New England Journal of Medicine 353.11 (2005): 1171-176. Print. Jones, Gavin W., Paulin Tay. Straughan, and Angelique Wei Ming. Chan. Ultra-low Fertility in Pacific Asia: Trends, Causes and Policy Issues. London: Routledge, 2009. Print. Lesthaeghe, Ron J., and Lisa Neidert. “The Second Demographic Transition in the United States: Exception or Textbook Example?” Population and Development Review Volume 32.Issue 4 (2006): 669-98. Print. Lesthaegheghe, Ron. The Unfolding Story of the Second Demographic Transition. Rep. Ann Arbor: Population Studies Center University of Michigan, 2010. Web. Livingston, Brendan. “The One-child Policy: an Analysis.” Web. 24 Mar. 2011. <http://legacy.lclark.edu/~econ/China.htm>. Mcdonald, Peter. “Low Fertility and the State: The Efficacy of Policy.” Population and Development Review 32.3 (2006): 485-510. Print. Morgan, S. Philip, and Miles G. Taylor. “Low Fertility at the Turn of the Twenty-First Century.” Annual Review of Sociology 32.1 (2006): 375-99. Print. Naughton, Barry. The Chinese Economy: Transitions and Growth. Cambridge, MA: MIT, 2007. Print. Online Etymology Dictionary. Web. 27 Mar. 2011. <http://www.etymonline.com/index.php?term=wanderlust>. Wanderlust. Web. 27 Mar. 2011. <http://oxforddictionaries.com/definition/wanderlust>. Weeks, John Robert. “Chapter 3 Demographic Perspectives.” Population: an Introduction to Concepts and Issues. Belmont, CA: Thomson/Wadsworth, 2008. 86-88. Print. Individuals may request the stratified results to the following questions which will be given upon the discretion of the researcher and/or research mentor. 5) If you are planning on having children, when do you expect to have your first child? 6) Is it appropriate for a woman to be an at-home mother and not work full time? 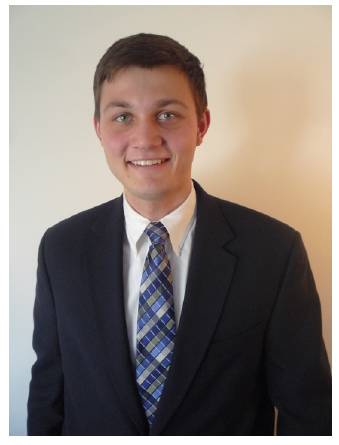 Thomas Anderson, from Centreville, Virginia graduated in Spring 2011 with degrees in International Studies and Spanish. He would like to thank Dr. Ted Fuller, Sociology, for his guidance, suggestions, and many talks about demography that led to this article. Thomas wants to pursue a Ph.D. in demography and eventually end up in academia or a research think tank.